There are Twice as Many Foreclosures in the Chicago Area This Year, Find Out Why | Fournier Law Firm, Ltd.
“A strong seller’s market along with political pressure has likely motivated lenders to complete the foreclosure process over the past year on many vacant properties that were lingering in foreclosure limbo for years,” Attom Senior Vice President Daren Blomquist said in a statement. As a result, the number of vacant bank-owned properties in the Chicago-land area has almost doubled since the third quarter of 2015; the number has increased from 1,245 in the third quarter of 2015 to 2,379 by the end of the second quarter of 2016. The good news is, with an average market time of 92 days in the Chicago-land area, these foreclosures may not remain vacant for long. According to an article written by Dennis Rodkin, published by Crain’s Chicago Business, another effect of the strong sellers’ market is a significant decrease in the number of “zombie foreclosures”. Instead of delaying the foreclosure process longer, the banks are moving forward with seizing the property, and moving it through the pipeline. 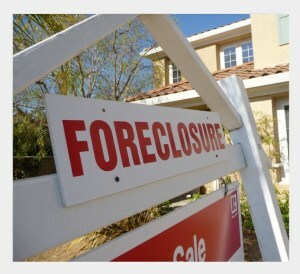 Ultimately, a vacant foreclosure is more desirable than a zombie foreclosure. “Assuming that the foreclosing lenders are maintaining these properties and paying the property taxes, they pose less of a threat to neighborhood quality than zombie foreclosures,” he said.